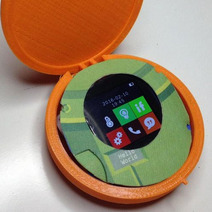 NEWS: Idiots making circular phone "for women"
Poor women; living in a world filled with rectangles. As we all know, females of our species are incapable of holding rectangular-shaped objects, and are constantly dropping the likes of books, boxed board games, and – crucially – phones. Fortunately a new start-up company is attempting to tackle that very important feminine problem with their own range of circular phones. Don't forget the lovers for Christ's sake! We could write about feminism taking one for the team here, but the only people reading this little rant are male; all the women have already dropped their phones, tablets and laptops due to their awkward rectangular shapes. Sorry girls.